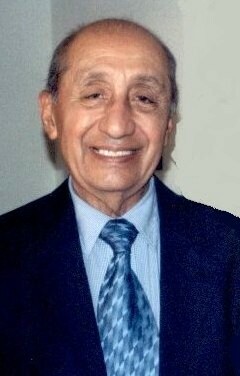 Andres Romero, Jr., 83, entered eternal rest on Thursday, June 14, 2018 at McAllen Heart Hospital in McAllen. He was born on Wednesday, May 15, 1935 in San Juan, Texas to Andres Romero and Micaela Morin Romero. He is preceded in death by his parents, sister; Cruz Almanza, brothers; Erasmo Romero, Noe Romero, Francisco Romero, Humberto Romero, and Arnoldo Romero. Left to cherish his memories are his wife of 57 years; Irma Garcia Romero, sons; Andres Roberto (Diana) Romero and Joel (Gilda) Romero, daughter; Michelle Romero, sister; Arcilia Romero, grandchildren; Sean (Alyssa) Romero, Katherine Romero and Joel Roberto Romero, Great grandson; Austin Cruz Romero, numerous nieces and nephews. Mr. Romero graduated from P.S.J.A. High School where he also played on the baseball team. 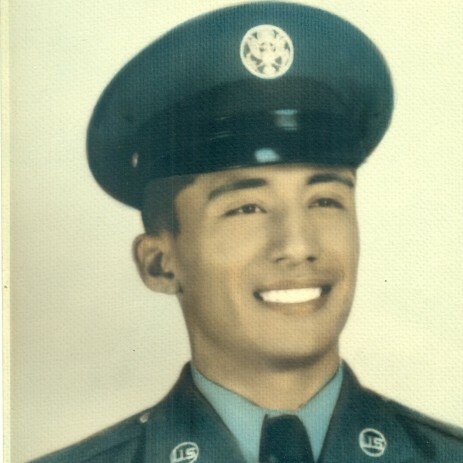 He proudly served his country in the United States Air Force during the Korean War. After returning from his military services, he attended McAllen Business College where he received his degree in accounting. He worked for McAllen Armature Works for over 50 years, until his retirement. He was dedicated to his job as a salesman and his greatest joy was spending time with his children and grandchildren. He will be greatly missed by his family, friends and all those whose lives he touched. The Romero family will receive family and friends today, Sunday, June 17, 2018 from 5:00 PM - 9:00 PM with a Rosary to be prayed at 7:00 PM in the Chapel of Peace at Ceballos-Diaz Funeral Home, 322 East Kuhn Street in Edinburg. Catholic Mass will be celebrated on Monday, June 18, 2018 at 1:30 PM at Holy Family Catholic Church, 1302 East Champion Street in Edinburg. Catholic burial will follow to Hillcrest Memorial Park Cemetery, 1701 East Richardson Road in Edinburg. Military Honors will be under the auspices of V.F.W. Post 7473 of Elsa, Texas. Having the distinguished honor to serve as pallbearers will be: Andres Romero, Joel Romero, Joel R. Romero, Sean Romero, and John Moritz. Funeral services have been entrusted to Ceballos-Diaz Funeral Home in Edinburg.